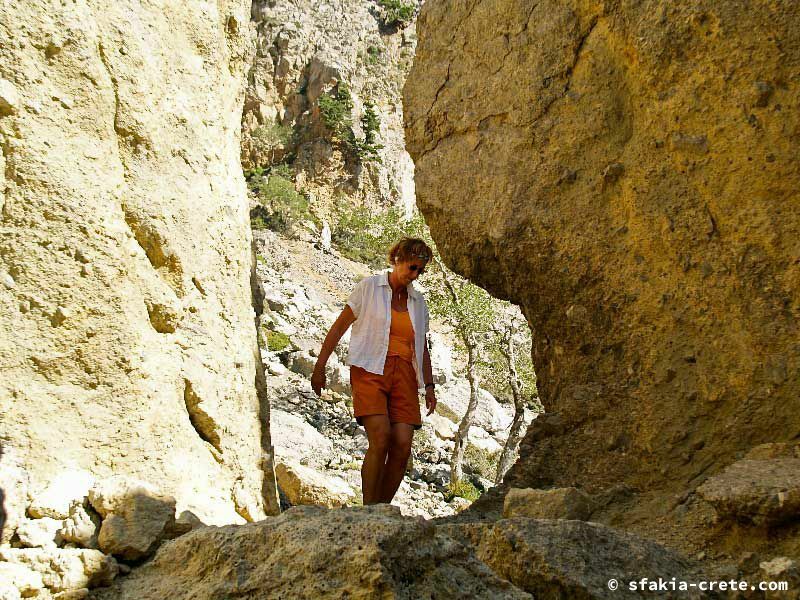 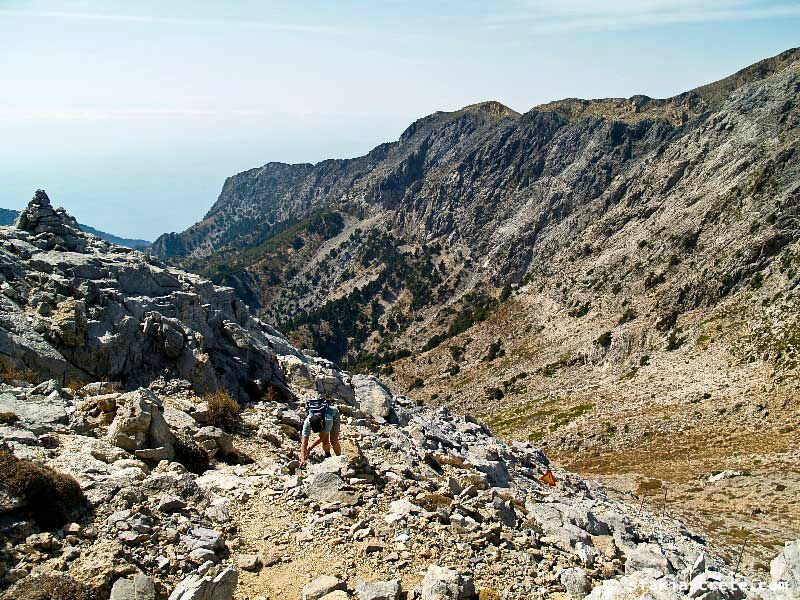 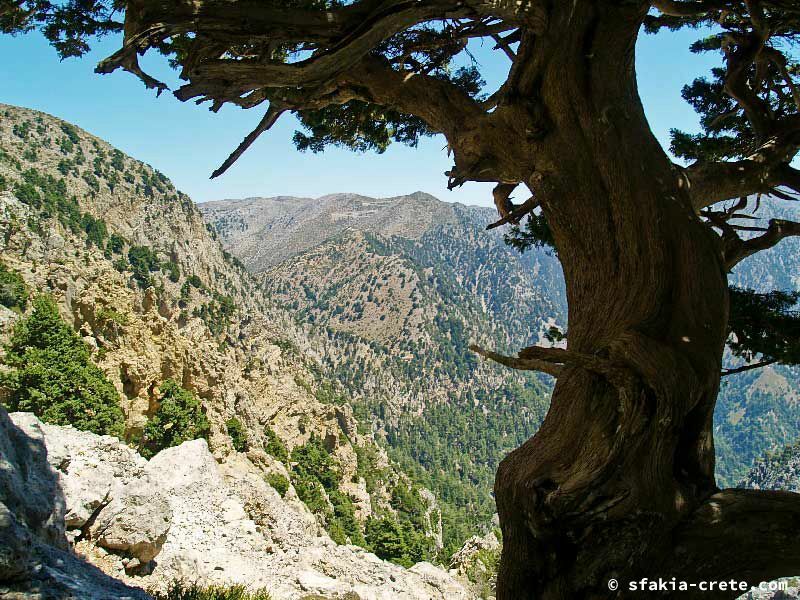 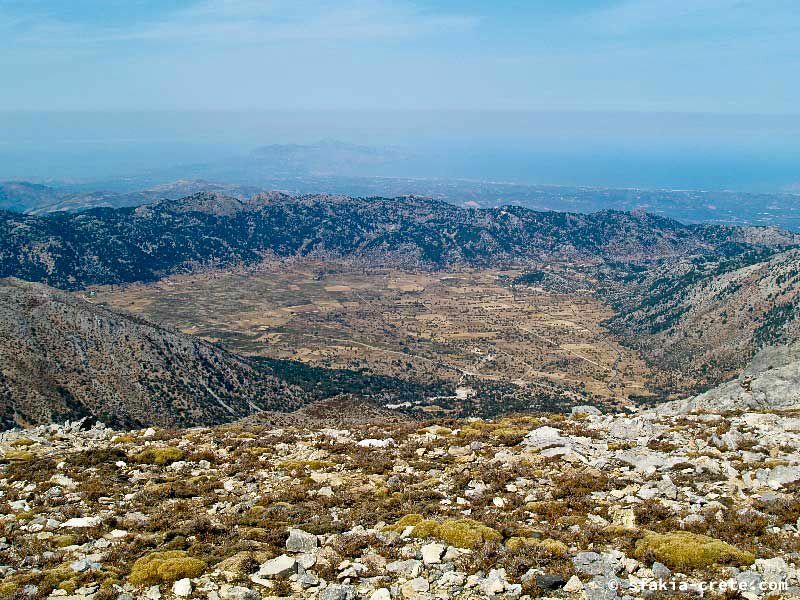 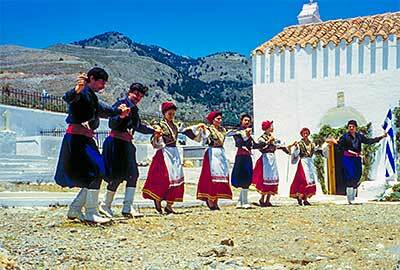 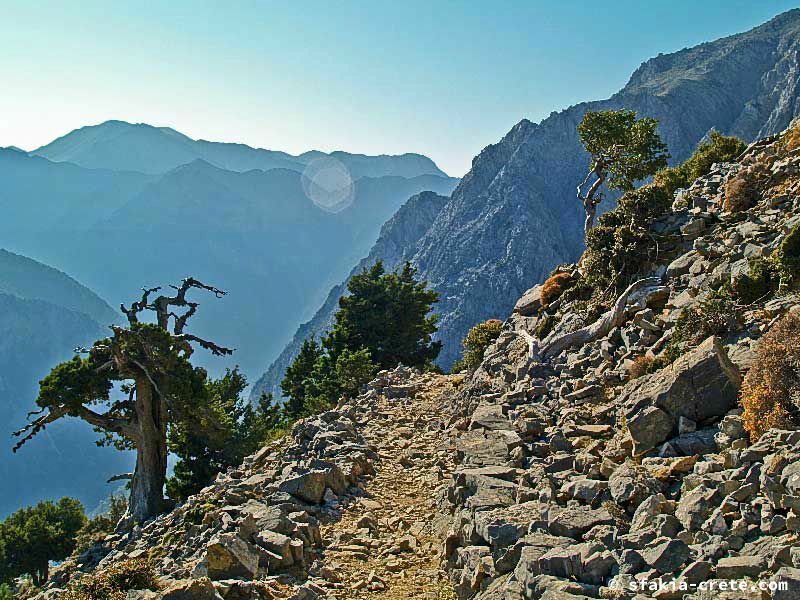 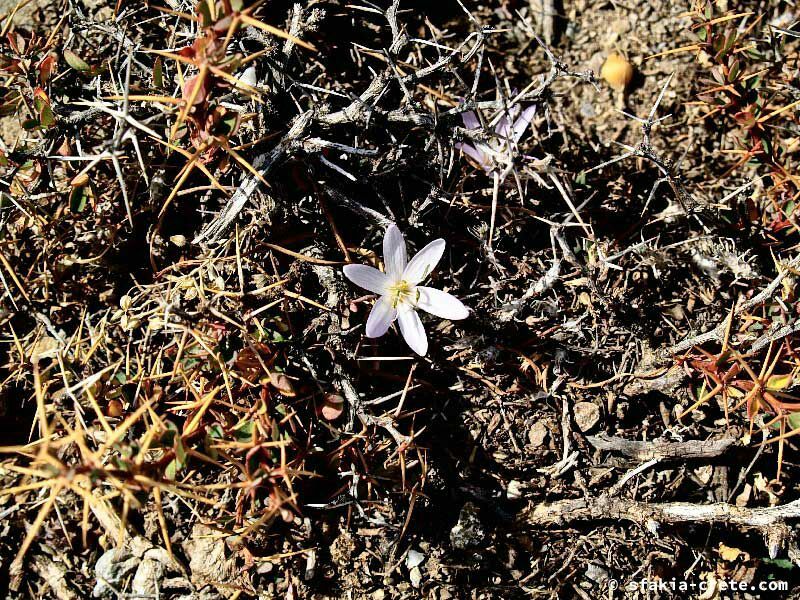 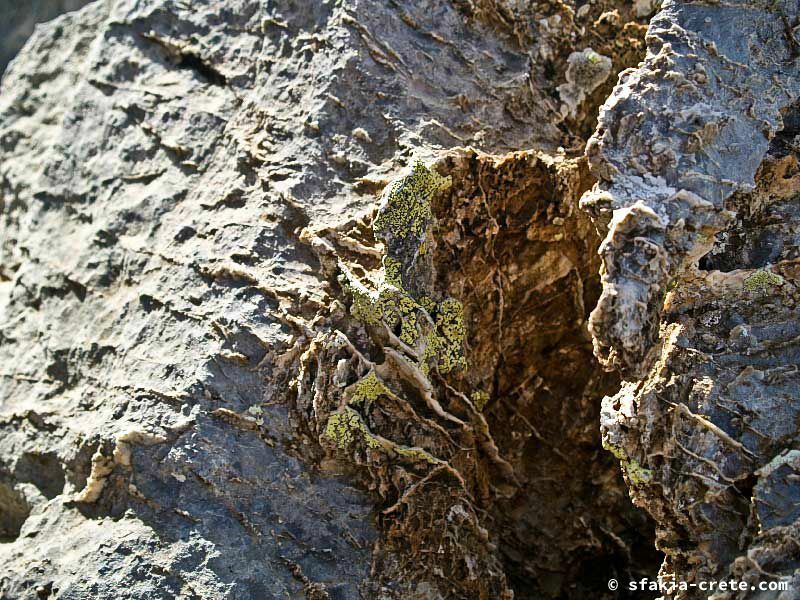 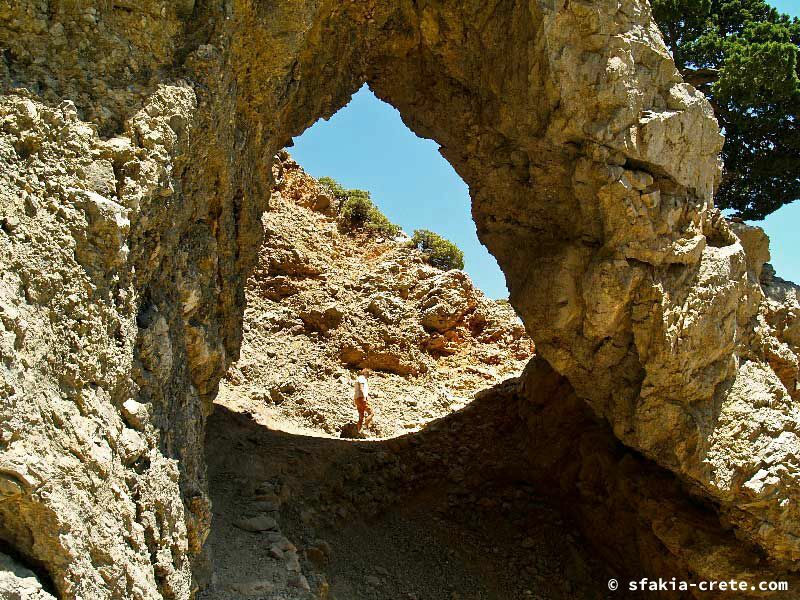 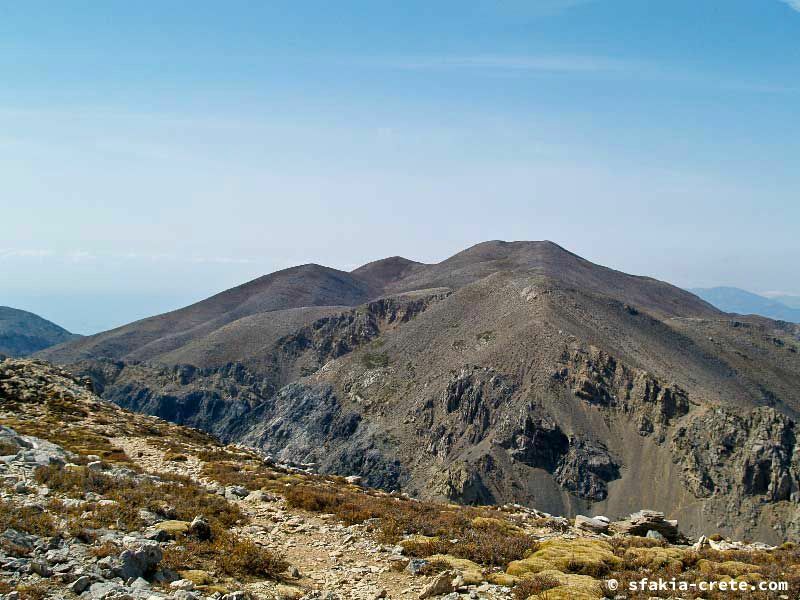 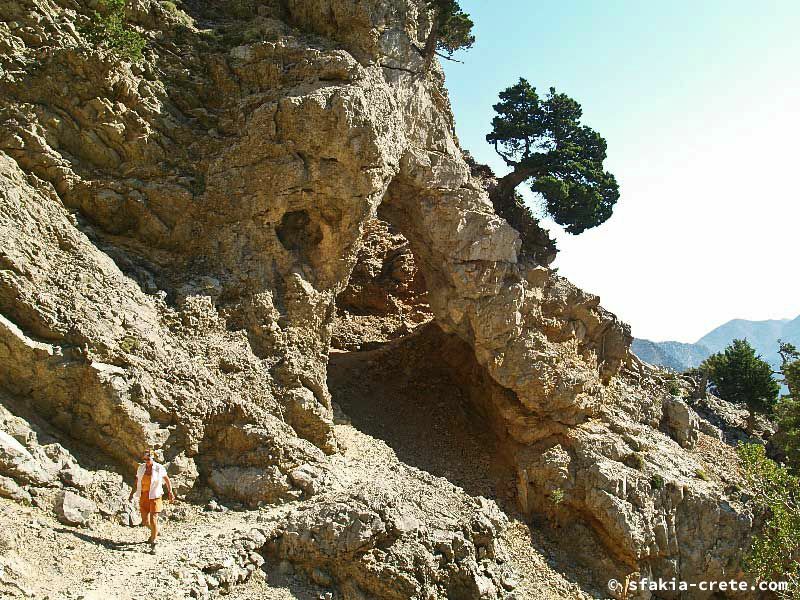 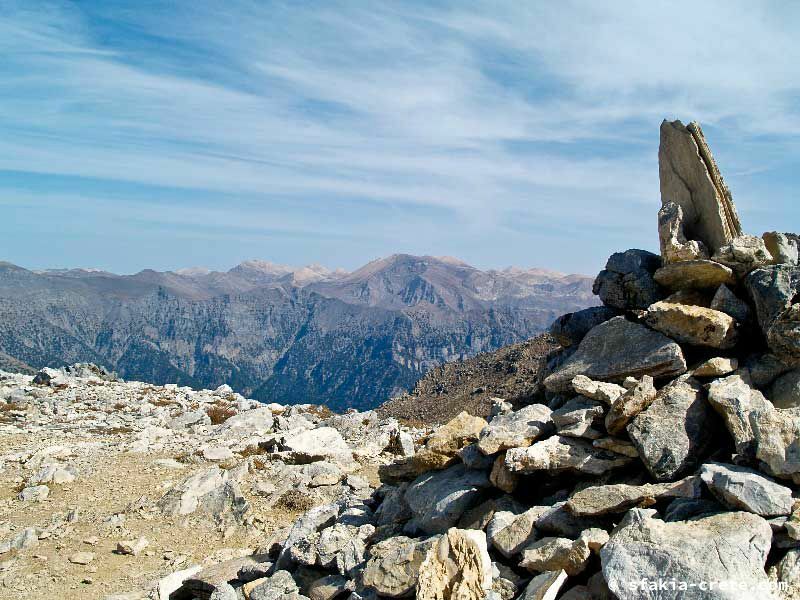 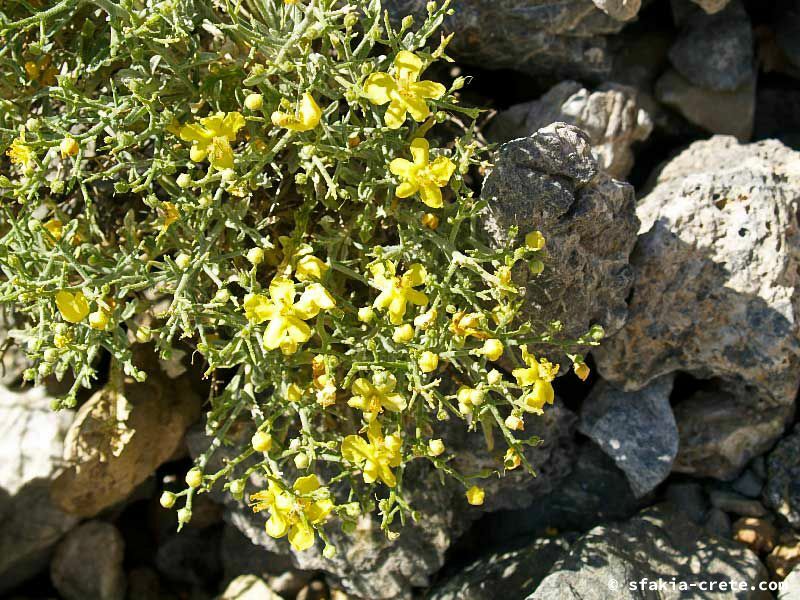 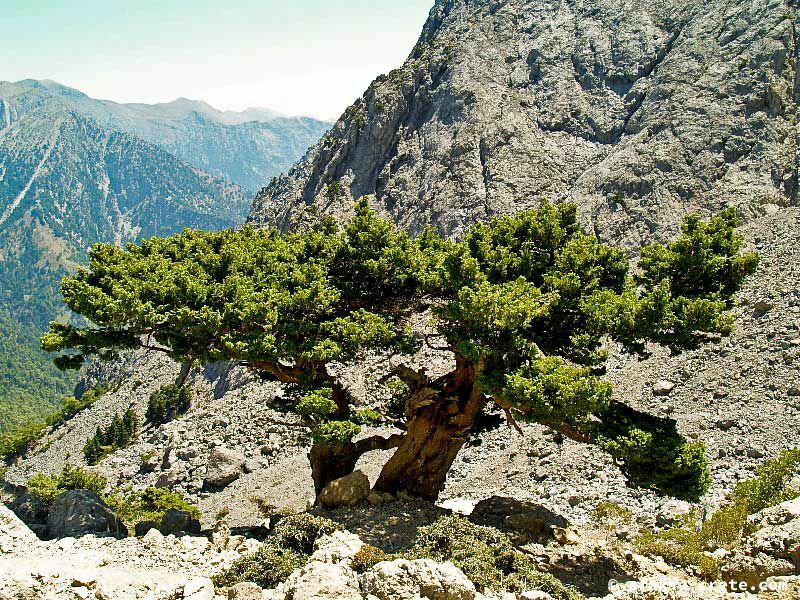 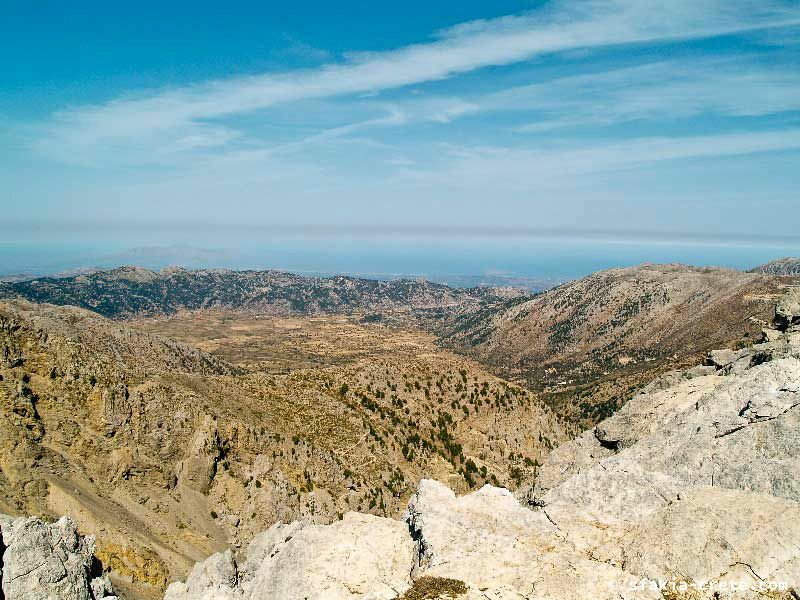 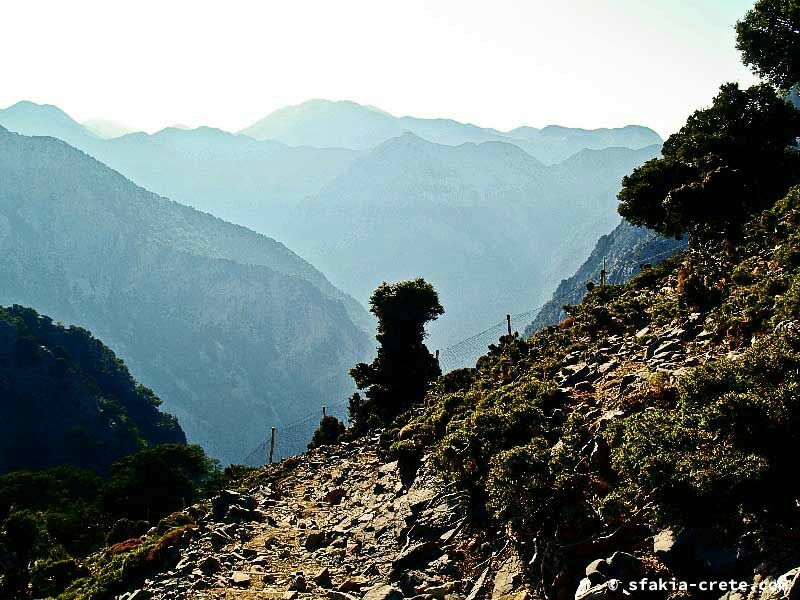 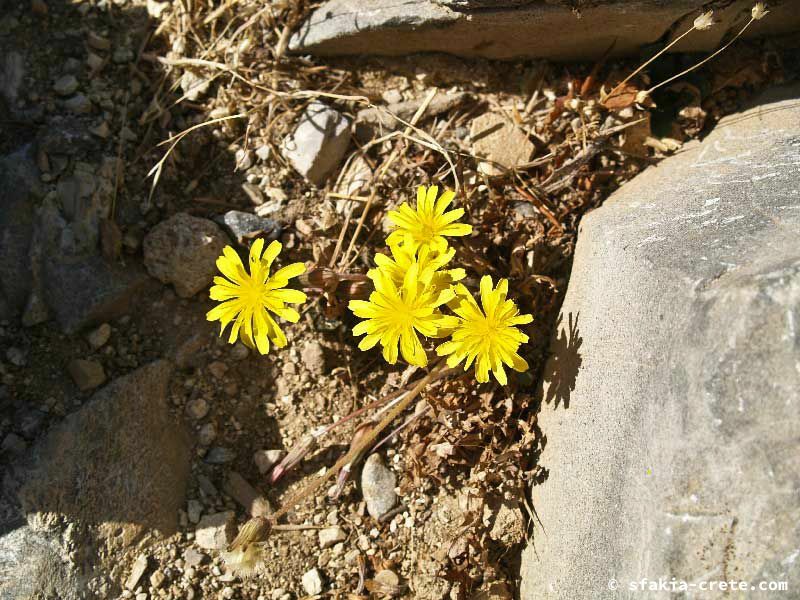 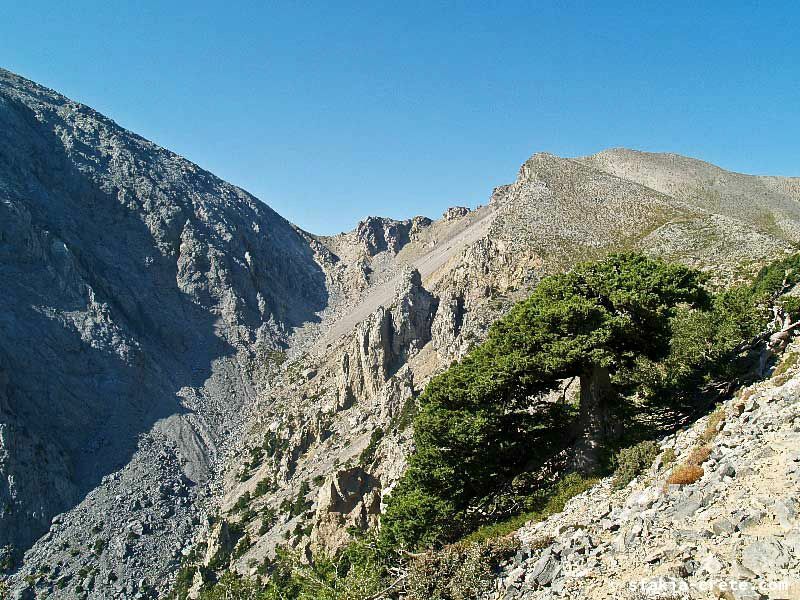 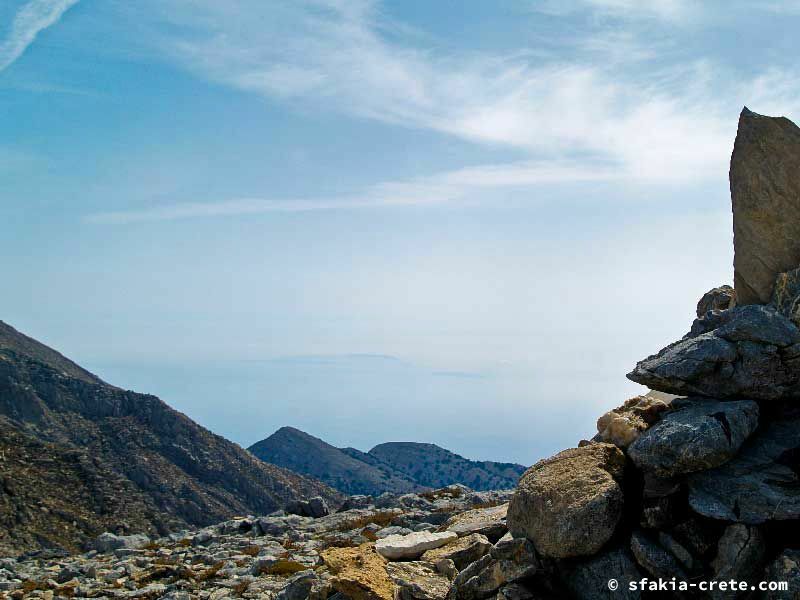 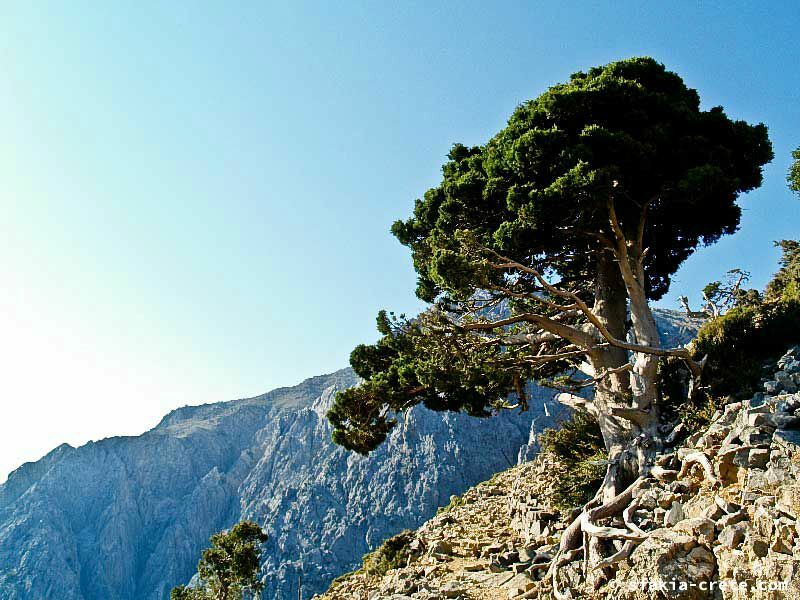 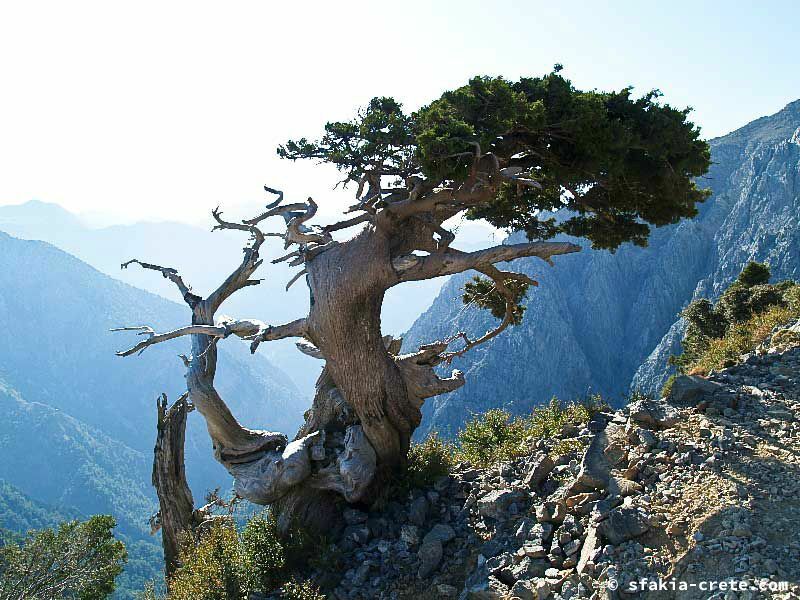 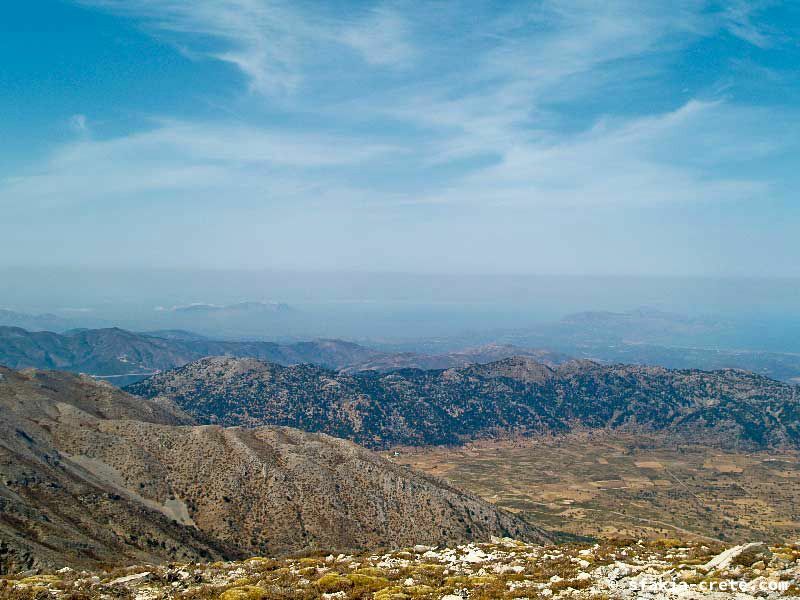 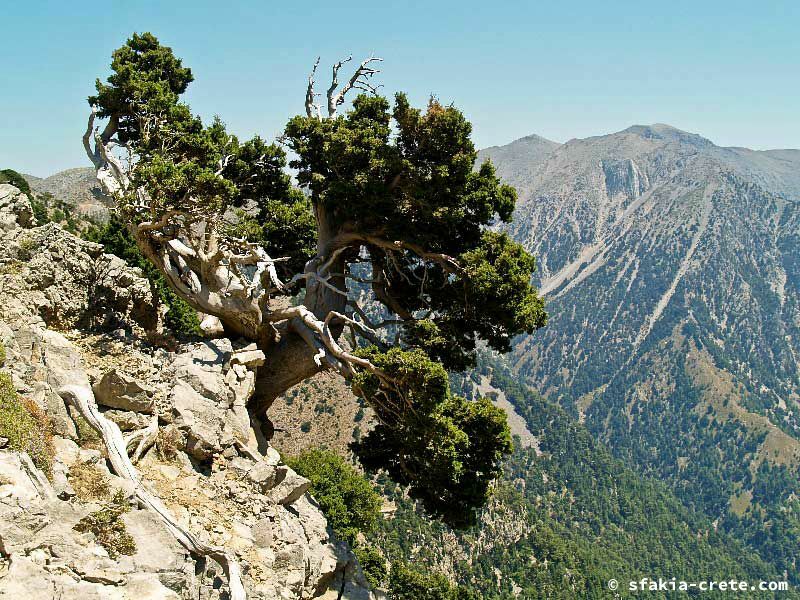 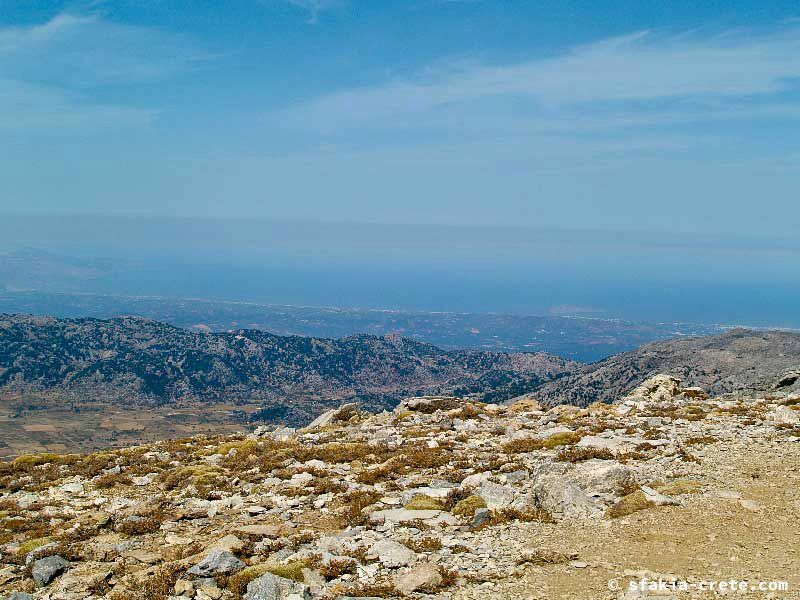 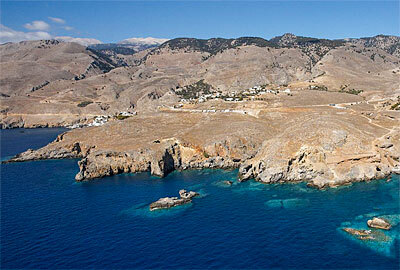 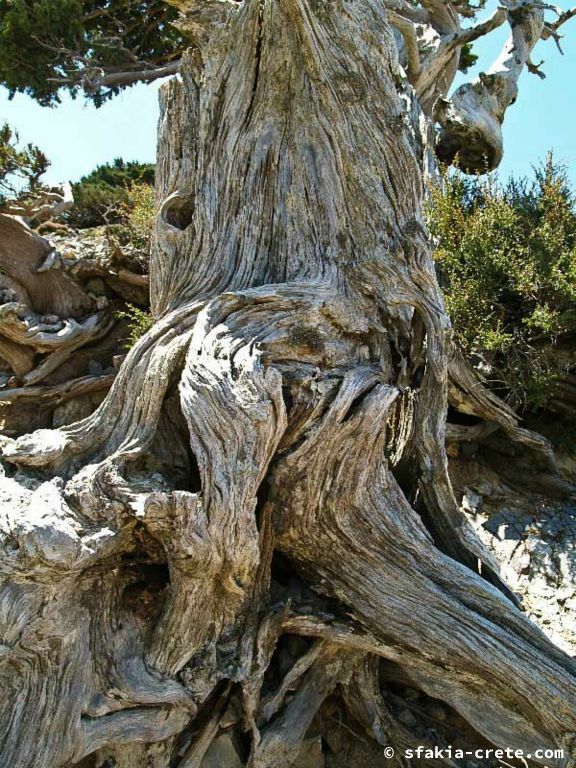 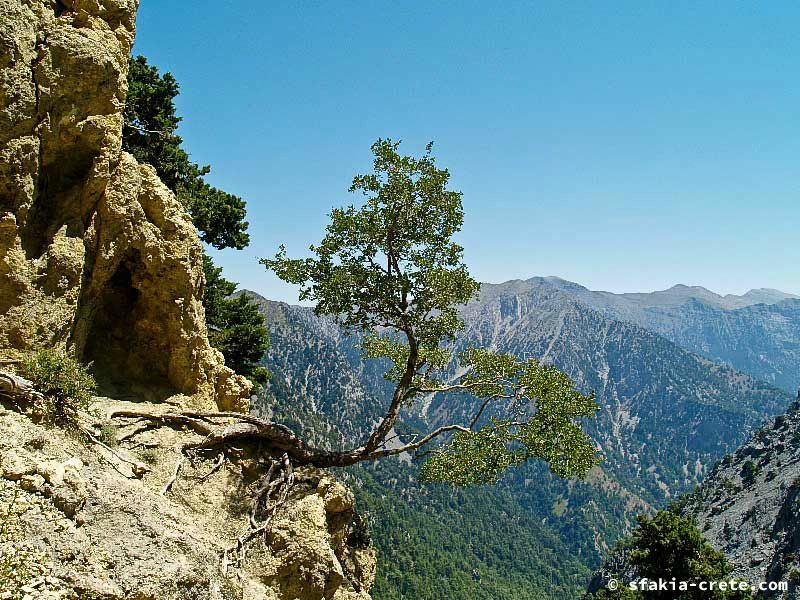 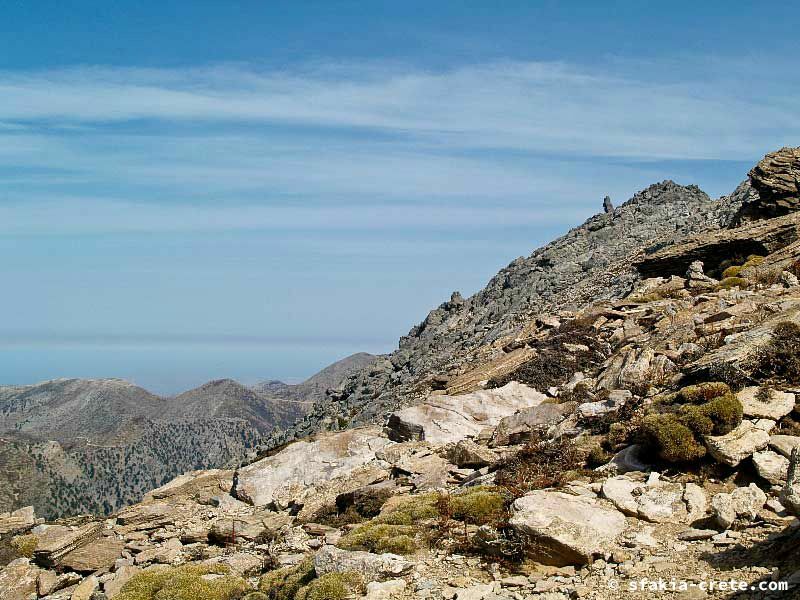 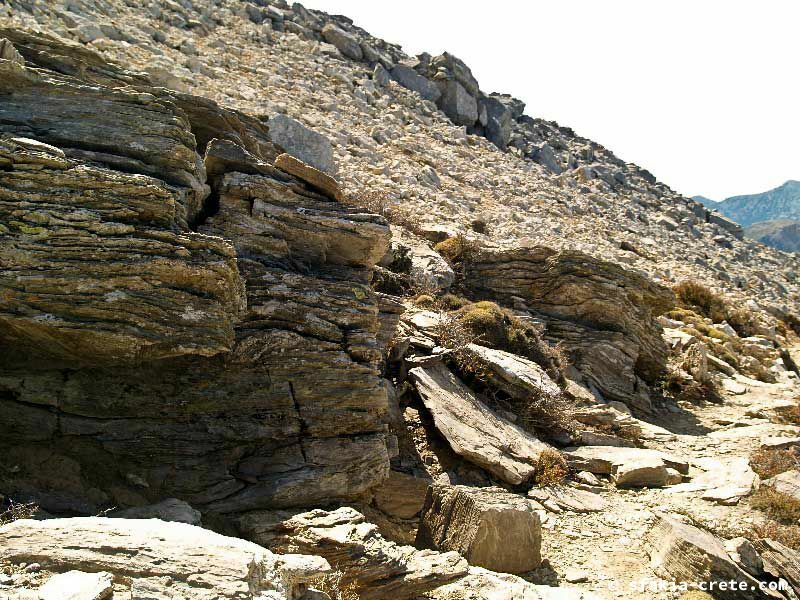 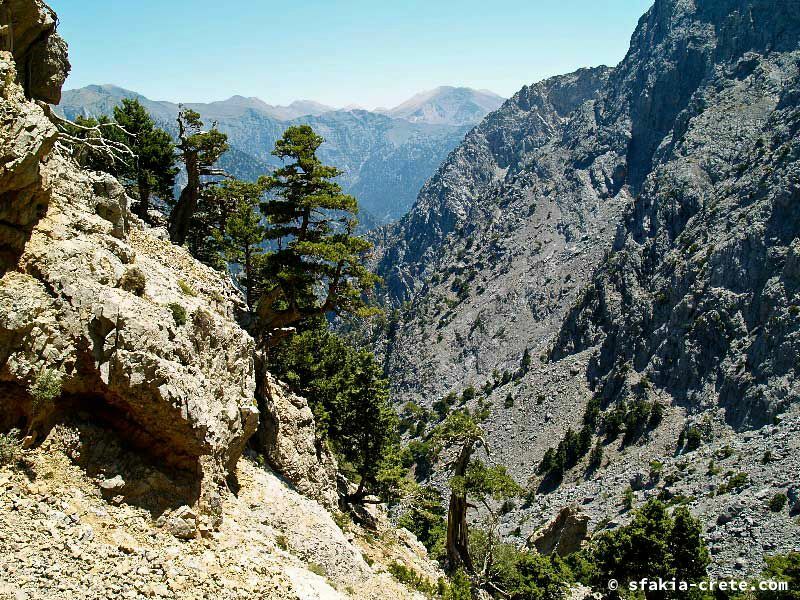 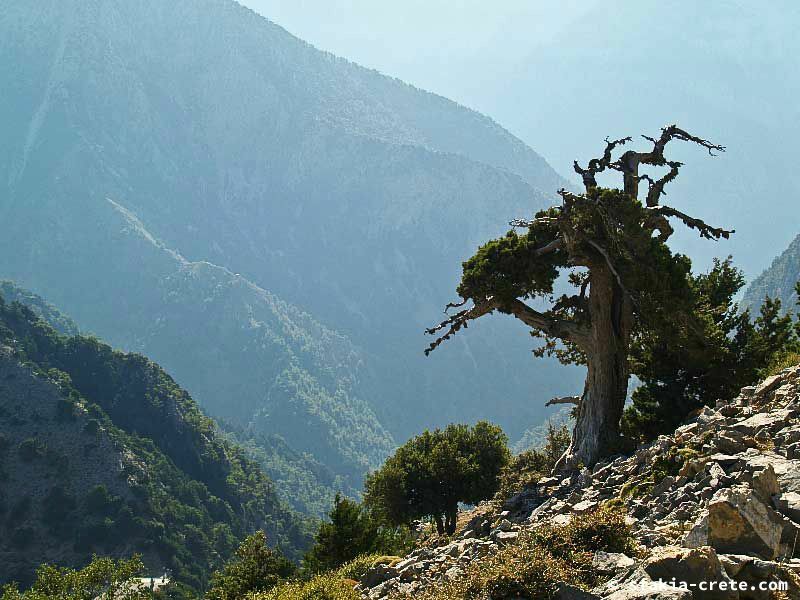 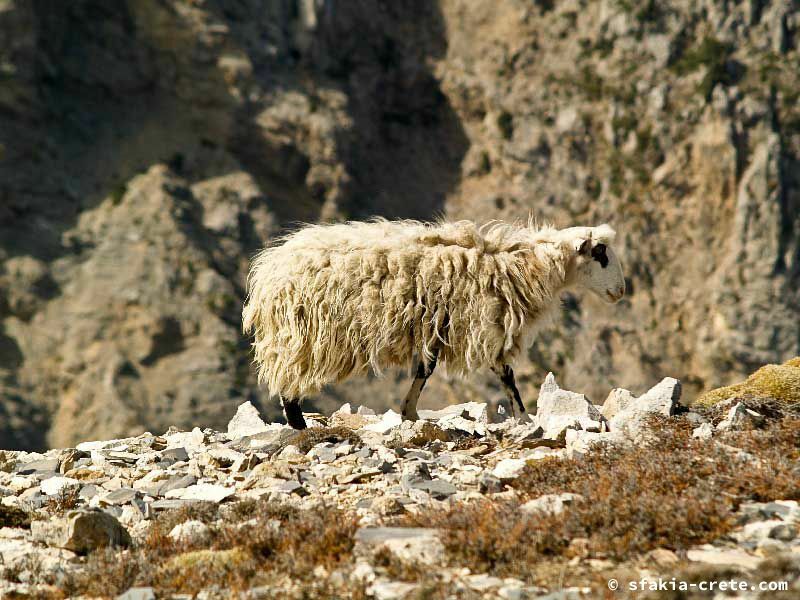 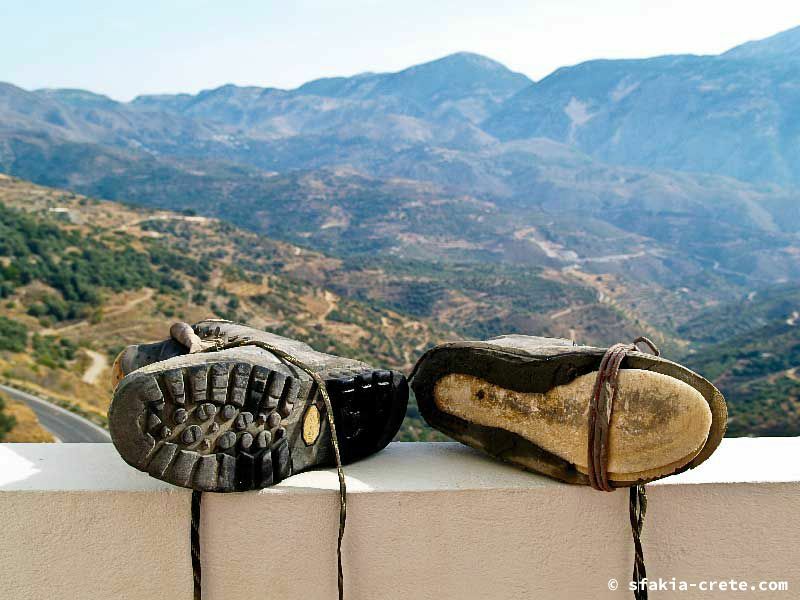 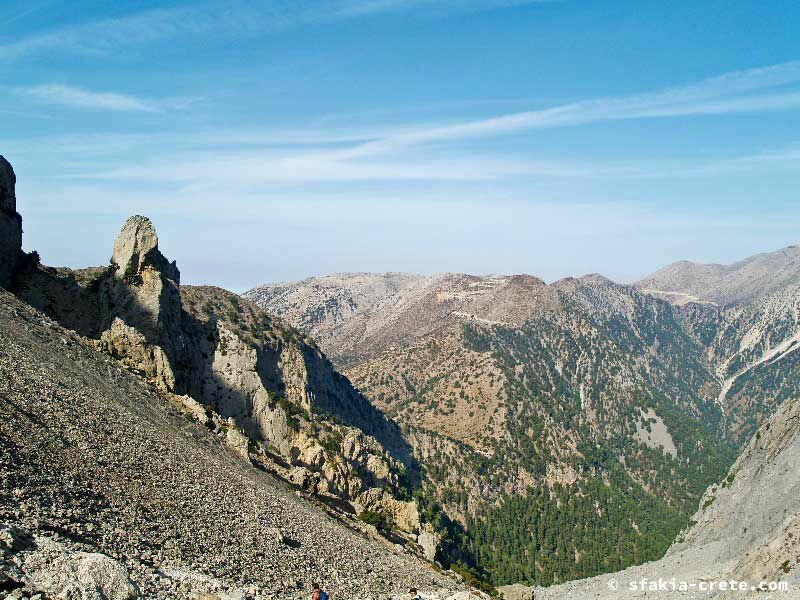 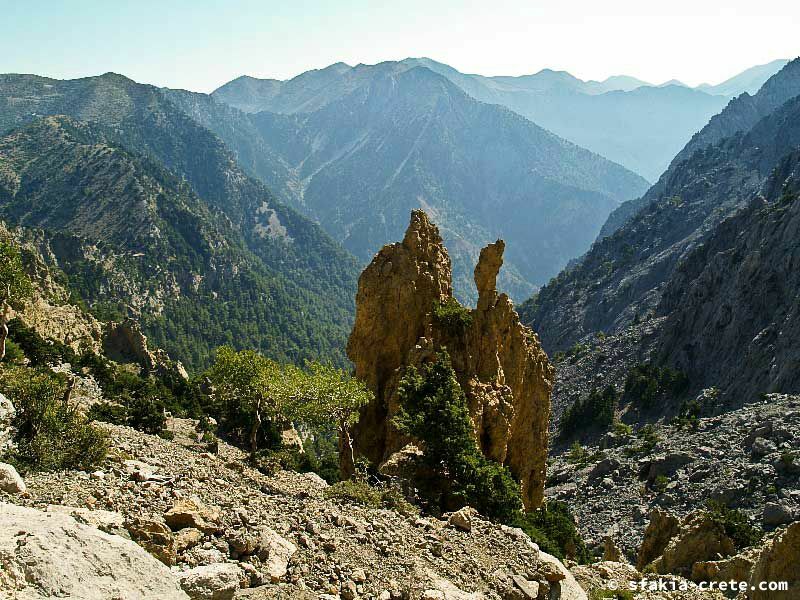 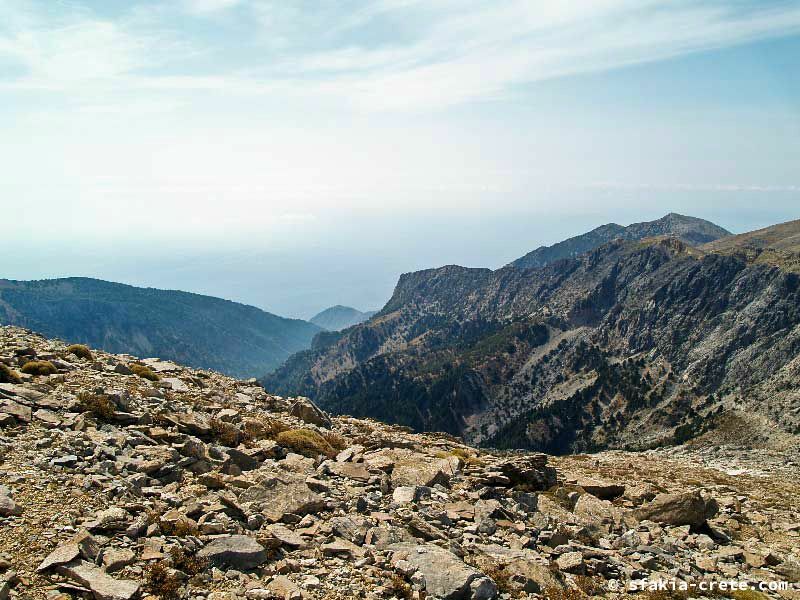 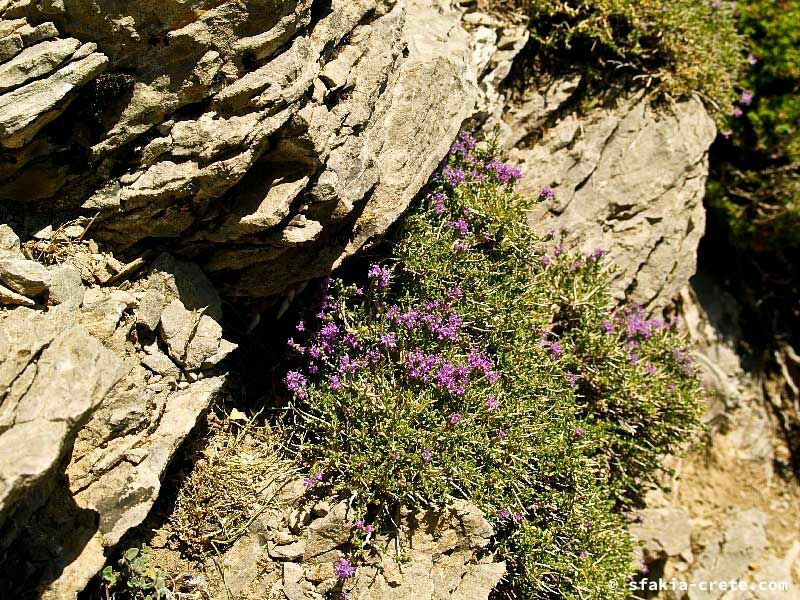 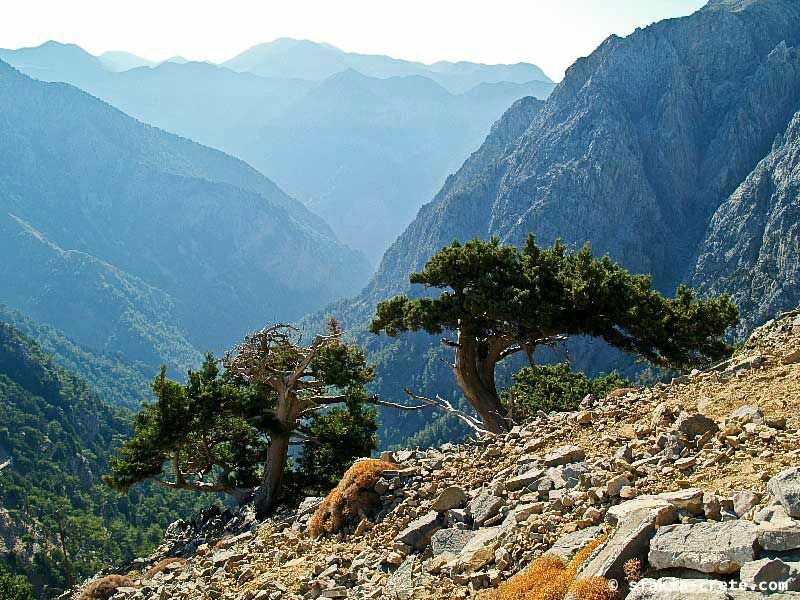 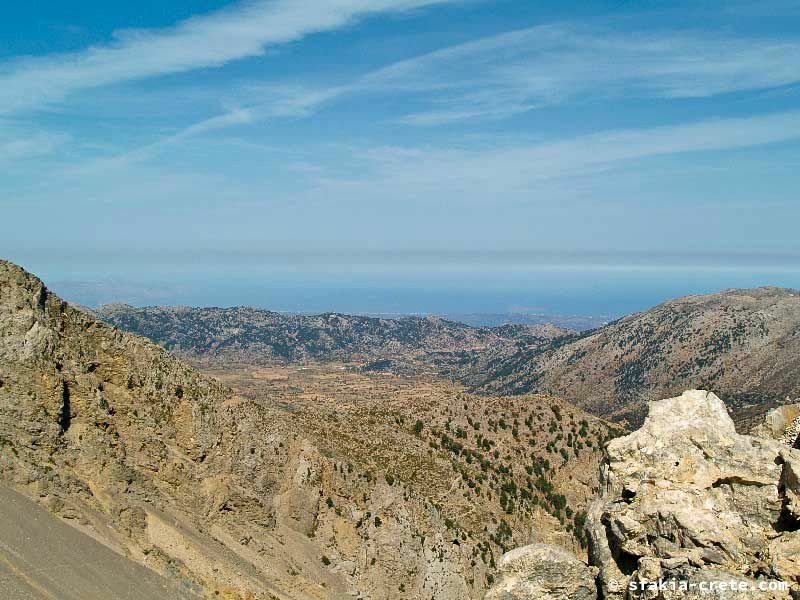 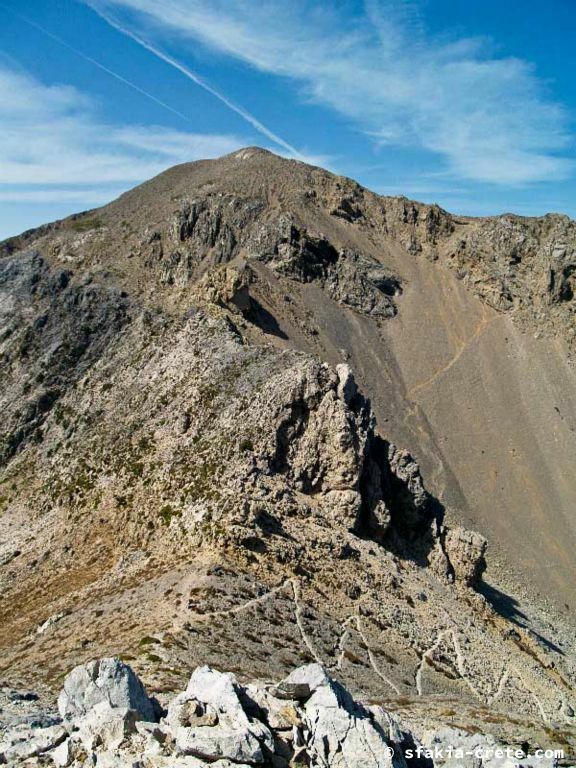 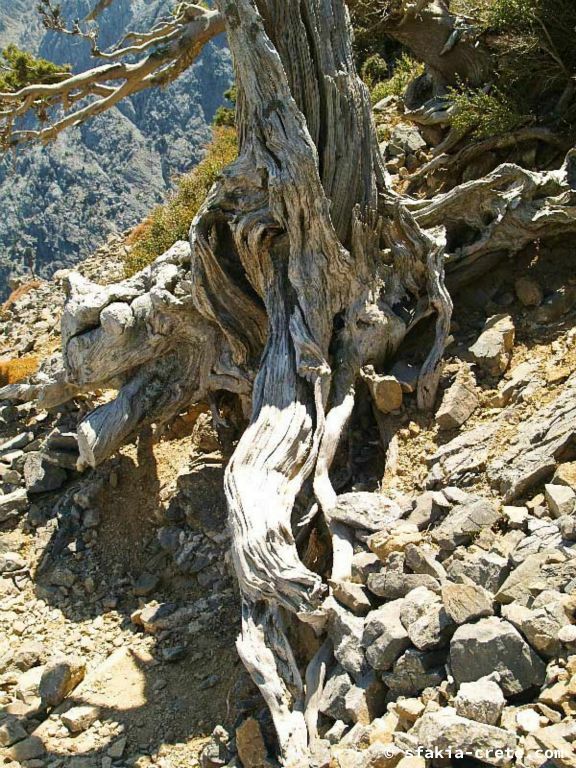 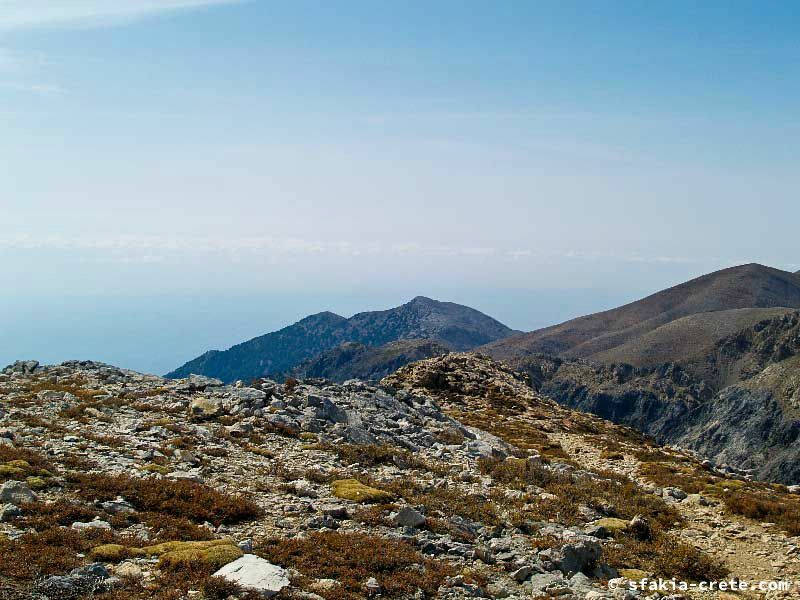 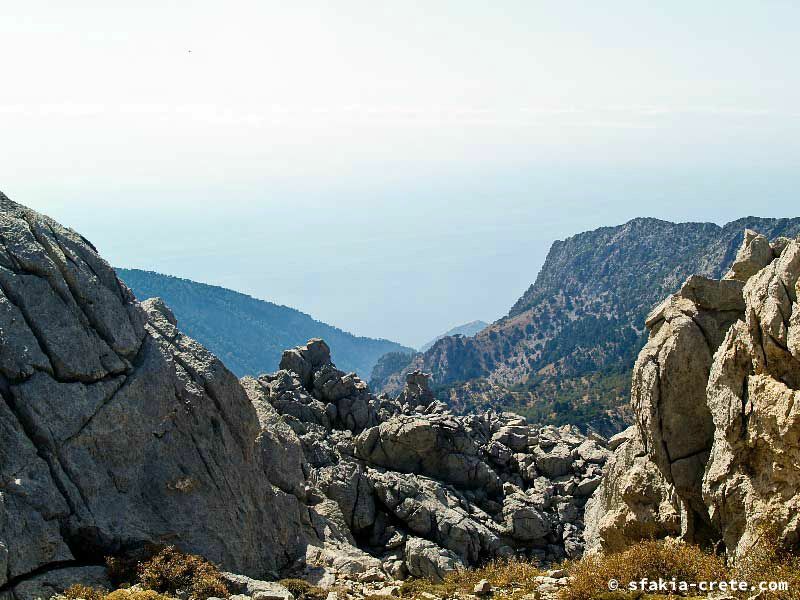 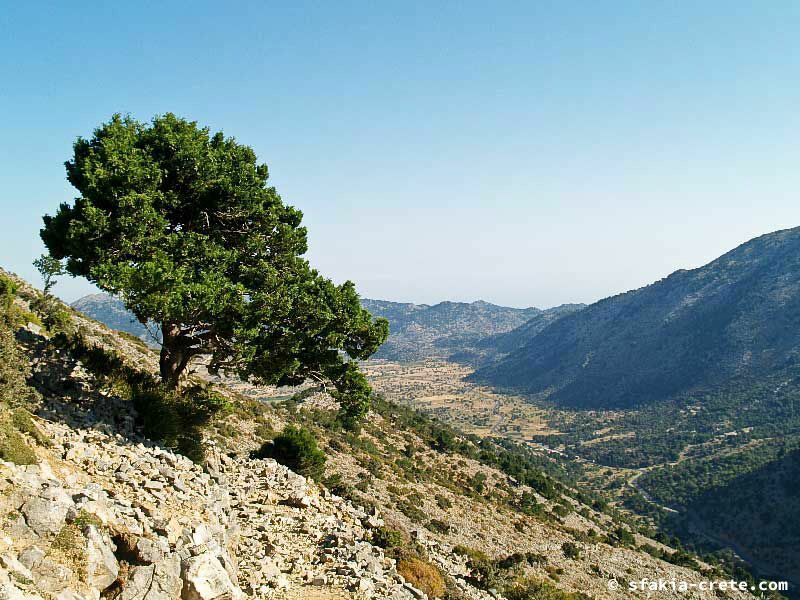 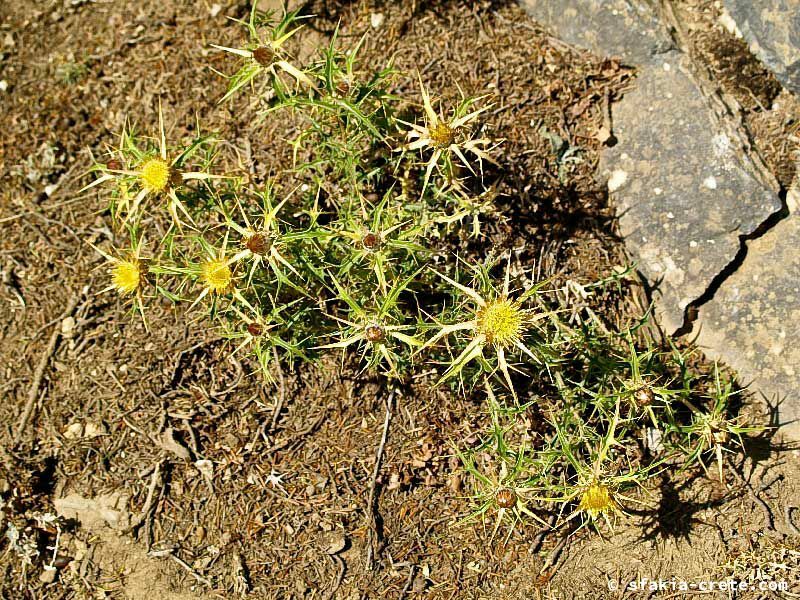 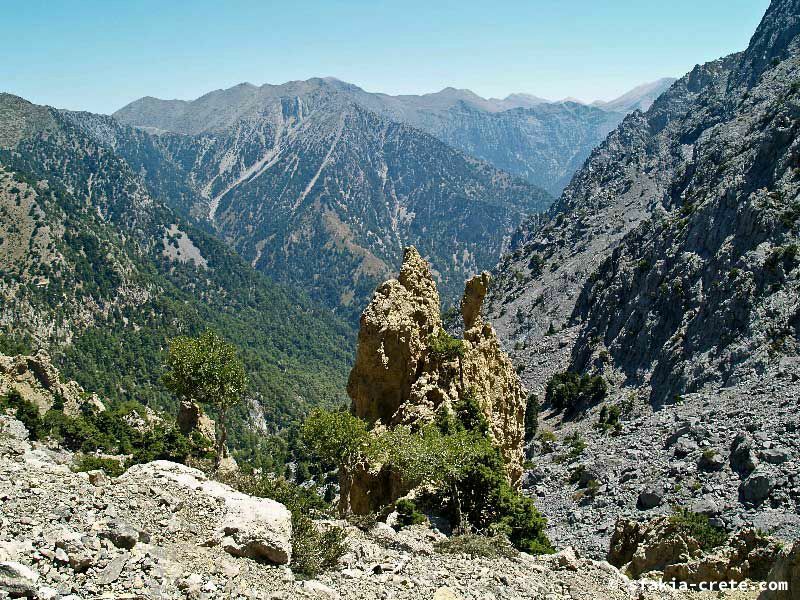 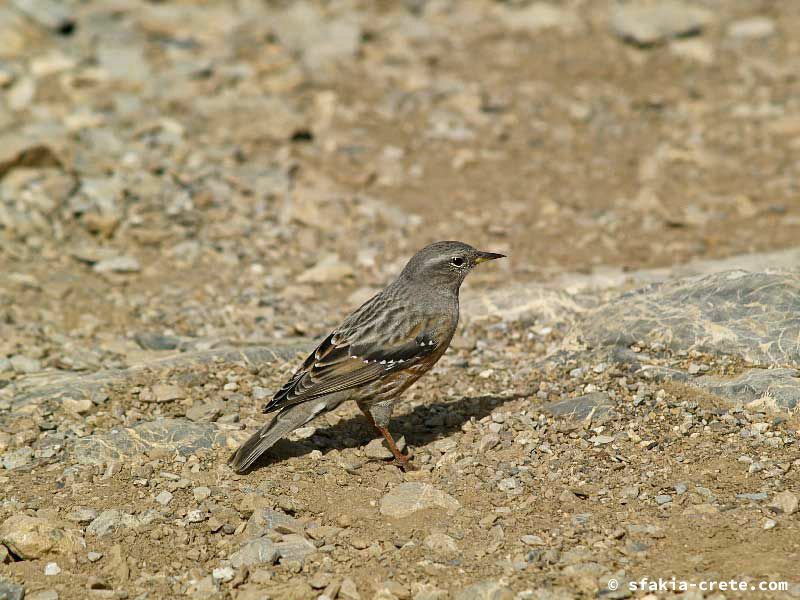 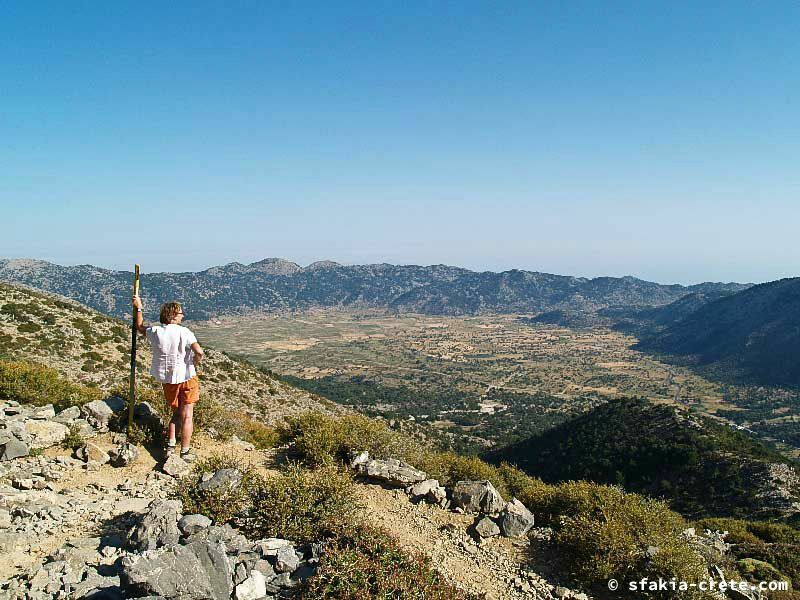 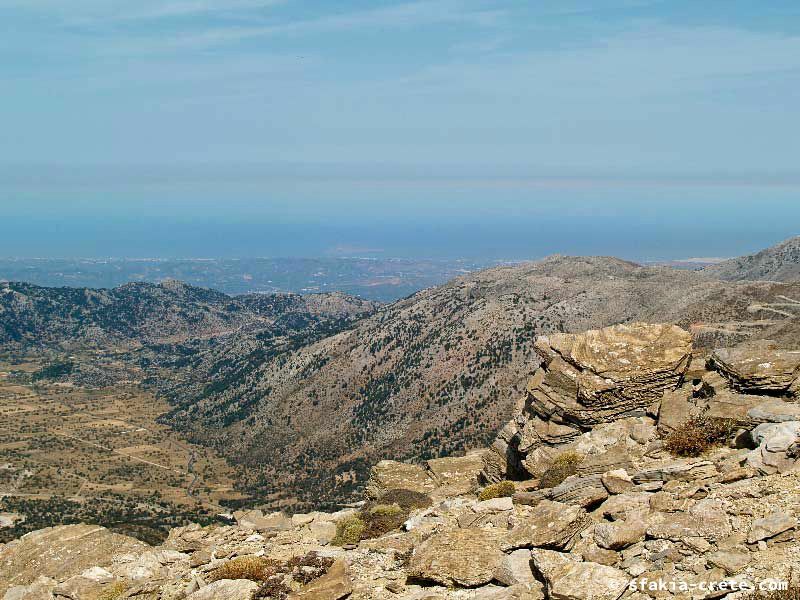 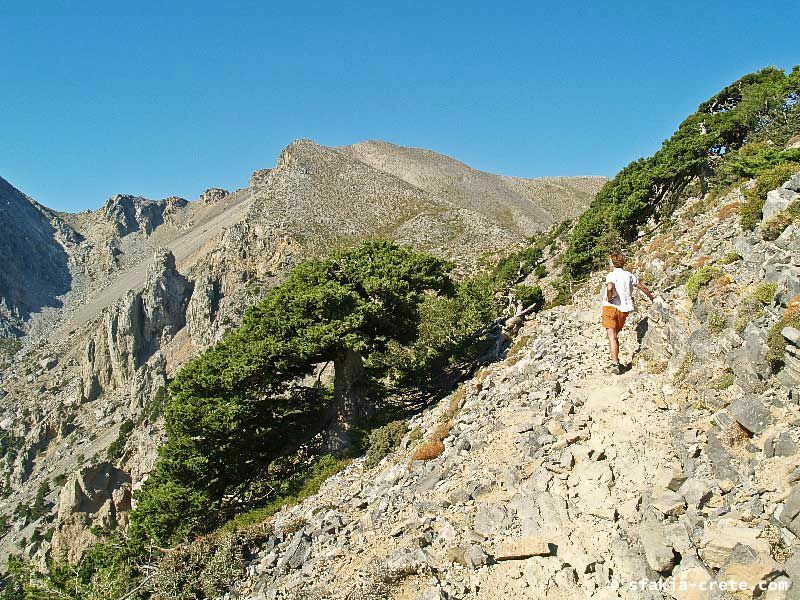 On Tuesday 30th of July 2007 my wife and I made a walk up Mount Gingilos, a 1964 metres high mountain situated southwest of the entrance of the famous Samaria gorge in southwest Crete. 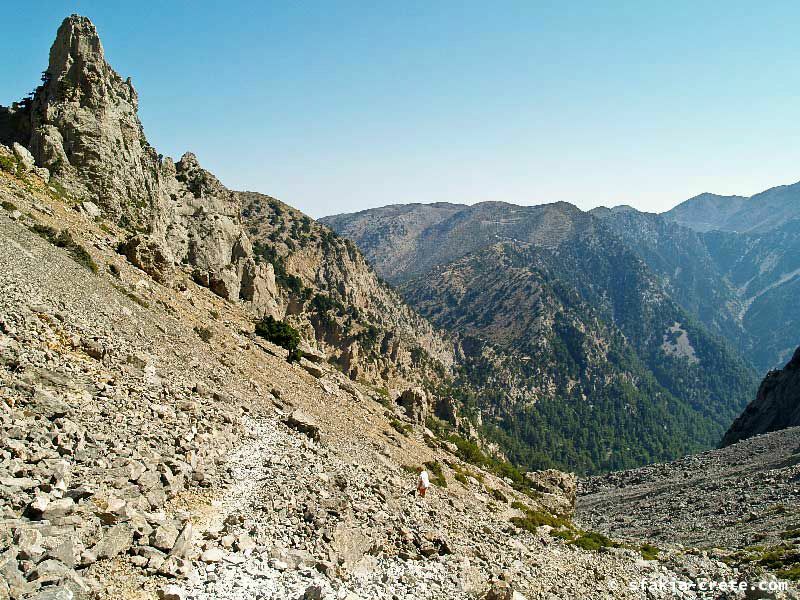 Halfway, on the saddle before passing the big hole in the mountain, we decided to return because it was too hot and the last part of the trip, getting to the top and back, still should take us several hours. 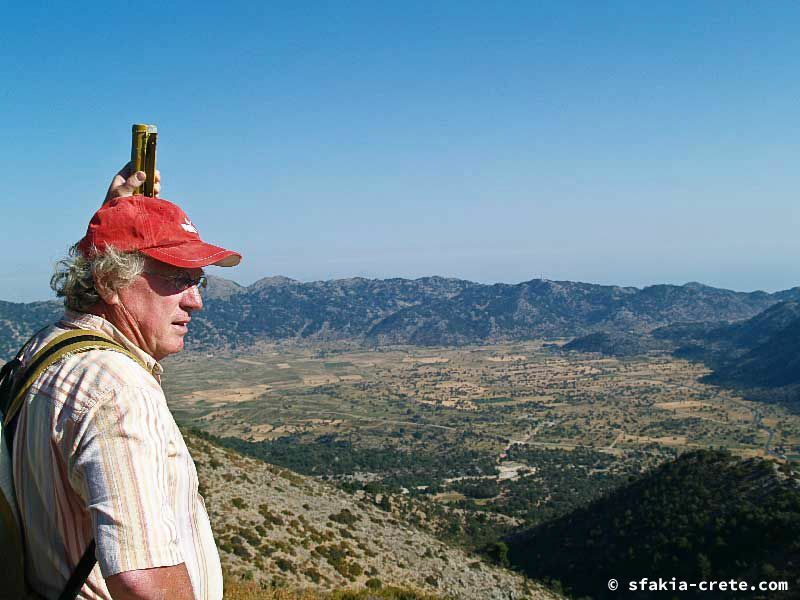 Sitting at the saddle, drinking water from the Linoseli spring a few hundred metres downhill and overlooking the Tripiti gorge which starts from there into southern direction, we were not aware of the Polish brother and sister that were presumably already in a very bad state, after being lost somewhere here in the mountains since the Sunday before. 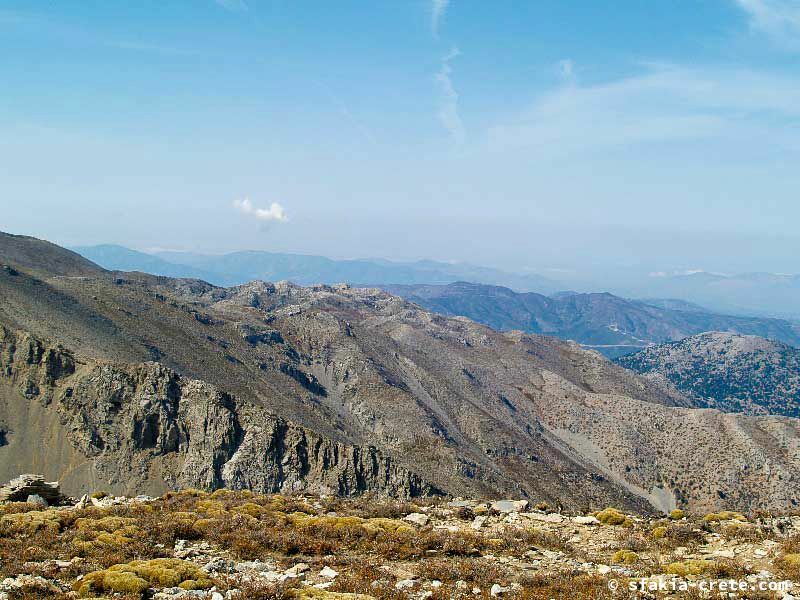 But we were also not aware of the fact that at that moment the Selino valley was burning and the bushfire was threatening many villages. 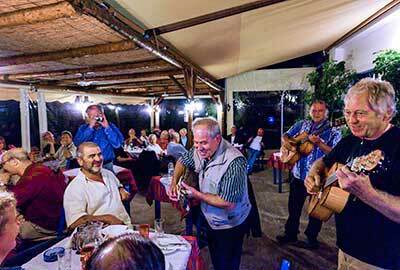 So, being back home in Rodovani in the last week of September with a friend, we decided to give it a second try. 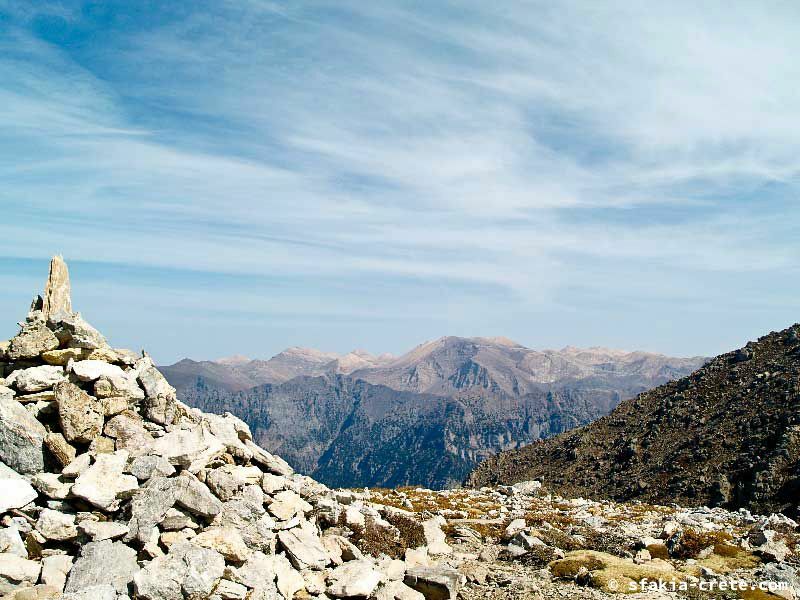 This time we succeeded in getting to the top on 30th of September. 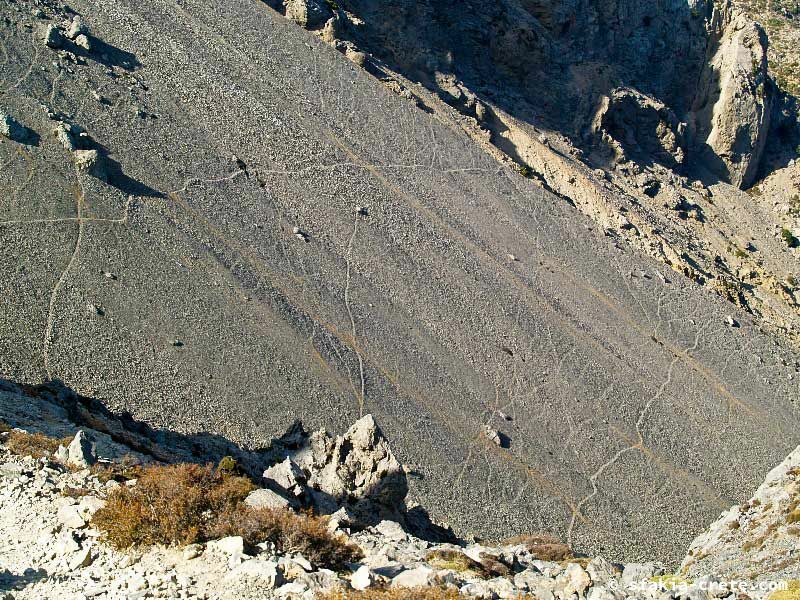 Due to the fact that the early morning light in summer gave better photos of the climb to the saddle, the first section of this gallery contains photos from the summer climb, whereas the second part is from the September climb.